Established in 2009, Yorkshire Hot Tubs is proudly based in Gods Own County. The decision to sell hot tubs was born from a personal love of the product. We’d been on many a holiday and thought how amazing it would be to own and sell tubs full of bubbles ourselves. After extensive market research, we were hooked on Hydropool as we believe they offer the best in design, innovation and quality. We couldn’t be prouder to sell something we have full trust in ourselves. We have a wealth of experience in selling, installing and servicing hot tubs throughout Yorkshire. Our customer base is broad (Yorkshire is the biggest county!) and we pride ourselves on offering honest and personal advice, bespoke to you. Hydropool are one of the worlds’ leading manufacturers of luxury hot tubs and swim spas. Established in 1970 in Canada as a commercial swimming pool company, in 1978 they became one of the first hot tub retailers in North America. Continually striving for innovation and design, their unique patented technology means owning a hot tub has never been easier to maintain or more energy efficient to run. Their self-cleaning technology lets you sit back and enjoy extra time for what matters to you. Enjoying your hot tub! 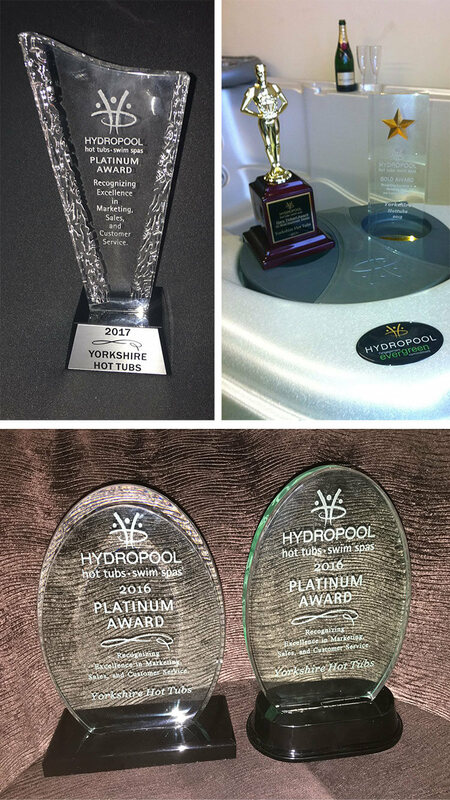 Find out more on why Hydropool should be your number 1 choice. We’re delighted to offer you the only exclusive and Hydropool hot tub and swim spa showrooms in the North of England showcasing our premier products. We’re situated in Ilkley, in the heart of Yorkshire where the tradition of hydrotherapy is deeply entrenched. Tourists would flock to the town in the Victorian era to experience the healing powers of the mineral rich water, coupled with enjoying the dramatic surrounding scenery. Long gone are the days of cold water treatment, and today we’re pleased to offer you the power of hydrotherapy with a slightly warmer and relaxing approach!